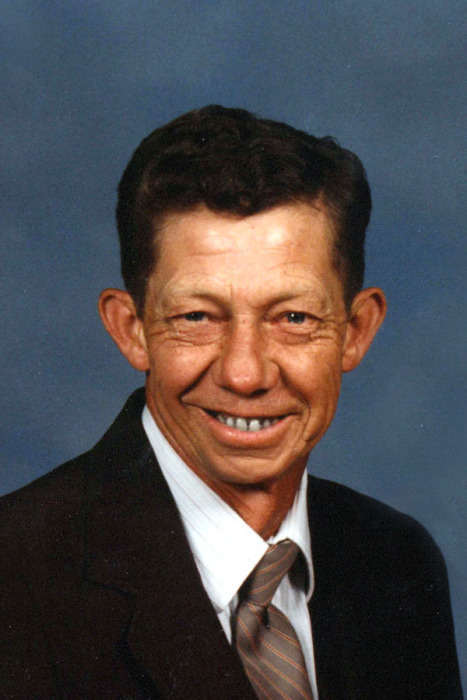 Lawrence J. Buchanan, age 79, of Buck Hill, went home to be with the Lord on Friday, March 22nd, 2019 at Life Care Center of Banner Elk. A native of Avery County, he was a son of the late Elbridge and Etta Dellinger Buchanan. He was also preceded in death by his first wife, Sandra Benfield Buchanan and his second wife, Mary "Lucille" Burleson Buchanan; granddaughter, Macie Cassandra Buchanan; brothers: Marvin Buchanan and Clinton Buchanan; sisters-in-law: Martha Bowman Buchanan and Grace Buchanan; brother-in-law, Doug Burleson and daughter-in-law, Peyton Buchanan. Lawrence was a member of Big Meadows Missionary Baptist Church and also enjoyed attending Emmaus Baptist Church. Lawrence loved working in shrubbery, logging, digging ginseng and hunting. Surviving is his children: Randall Buchanan and special friend, Bea Hemmings, of Morganton, Ronald Buchanan and wife, Andrea, of Buck Hill, Stanley Johnson and wife, Joyce, of Hickory, Rodney Johnson and wife, Donna, of Greenwood, SC, Gaylene Potter and husband, Donnie, of Cranberry and Michael Johnson and wife, Joyce, of Johnson City, TN; siblings: Ted Buchanan of Newland, Beulah Burleson of Spruce Pine, Patsy Bowman and husband, Frank, of Newland and Doris Grindstaff and husband, Gary, of Newland; sister-in-law, Marie Buchanan of Spruce Pine; grandchildren: Trevor Buchanan, Kristan Powell (Taylor), Samuel Buchanan, Tyler Buchanan (Lacey), Dawson Buchanan, Silas Buchanan, Eli Buchanan, Mikey Johnson (Kim), Josh Milewski, Taylor Potter (Sydnee Sutton), Dustin Potter, and four great-grandchildren. Several other extended family members also survive. Funeral Services will be held at 3 p.m. on Sunday, March 24th in Big Meadows Missionary Baptist Church. Rev. Wesley Duncan and Rev. Luther Carver will officiate. The family will receive friends from 1:30 until 3 p.m. prior to the service at the church. Burial will follow in the Pyatte Cemetery. Pallbearers will be: Randall Buchanan, Ronald Buchanan, Trevor Buchanan, Tyler Buchanan, Samuel Buchanan, Dawson Buchanan, Silas Buchanan, Eli Buchanan, Taylor Powell and Taylor Potter. The family would like to say a special thank you to all the staff at Medi-Home Hospice, Life Care Center and the Charles A. Cannon, Jr. Memorial Hospital for the wonderful and loving care given to Lawrence and requests memorial donations may be made to Medi-Home Hospice at PO Box 1357, Newland, NC 28657.